Dry mouth, also known as xerostomia, is a common condition that results in your mouth feeling unusually dry due to decreased saliva production. Dry mouth can increase an individual’s risk of dental decay, infections, and periodontal disease because saliva aids in preventing tooth decay, limits bacterial growth, and washes away food particles. If left untreated, dry mouth can cause issues with speaking and swallowing. An estimated 29% to 57% of older adults experience some degree of xerostomia, but it can occur in anyone. If you experience persistent episodes of dry mouth, you should consult your doctor or dentist to determine the cause. Your doctor or dentist will examine your mouth and review your medical and medication history. If warranted, blood tests or other tests may be ordered as well. While dry mouth can occur in anyone, treatment will be based on the underlying cause. Treatment goals for dry mouth include identifying and managing the cause of dry mouth when possible, preventing tooth decay, and increasing the flow of saliva when possible. The treatment selected depends on the cause. If dry mouth is caused by your medication, your doctor may change or adjust your medication or recommend products such as a saliva substitute to moisturize your mouth. If the dry mouth is severe, your doctor may prescribe a medication to treat your dry mouth. Various OTC artificial salvia substitutes and dry mouth relief products are available in the form of sprays, liquids, gels, mouthwashes, toothpaste, lozenges, and chewing gums to provide relief to individuals who experience dry mouth. Pharmacists can help you select the best formulation to meet your individual needs. 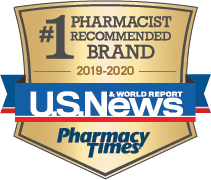 The #1 full-service pharmacy media resource in the industry, providing clinically based, practical and timely information for the practicing pharmacist. A leading provider of service news and information that improves the quality of life of its readers by focusing on health, personal finance, education, travel, cars, news and opinion. The Pharmacy and patient resource for reimbursement programs, coupons, co-pay and educational resources. Copyright OTCGuide 2006-2019 Pharmacy & Healthcare Communications, LLC. All Rights Reserved.